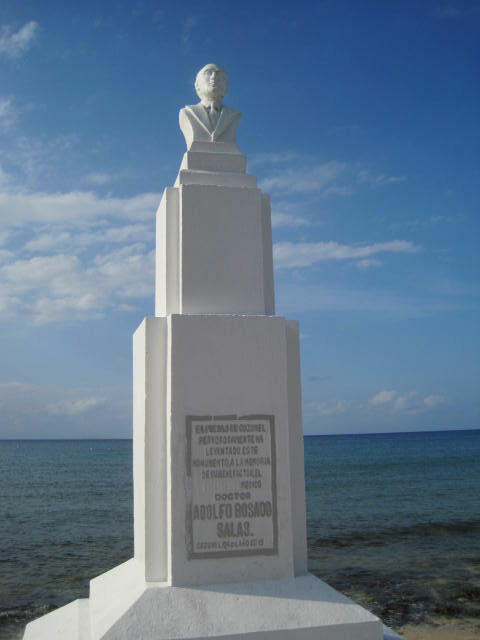 The concrete plinth with the bust atop at the intersection of Calle Adolfo Rosado Salas and Avenida Rafael E. Melgar is commemorates a well-loved doctor who moved to the island in 1942. He was renowned for his dedication and often provided his services free. An anecdote told by our island’s historian relates how the night before he died in his sleep the doctor entered the cantina owned by Don José Cruz Bonastre and bought a round of drinks for all present, saying “friends, I want you to accompany me in a toast, for tomorrow I will be buried in the cemetery.” And, true to his word, he was dead the next morning. 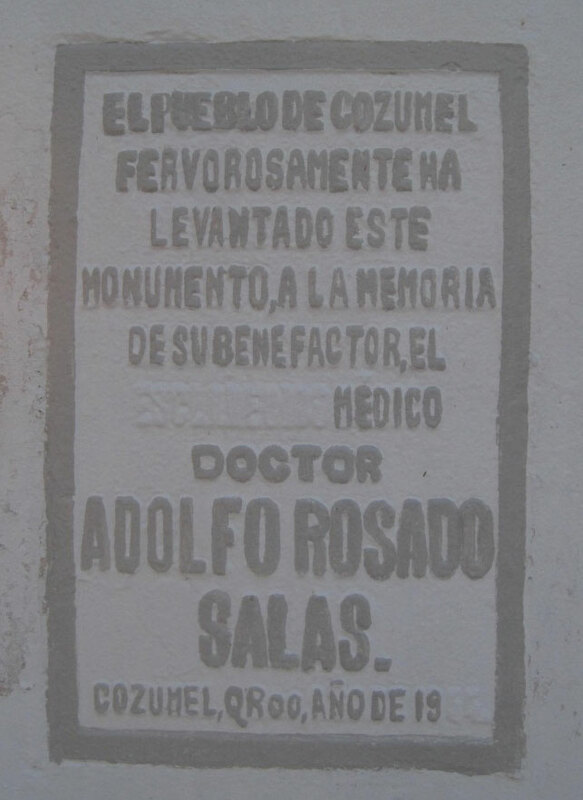 After he was buried, an arrow was placed on his grave marker pointing towards heaven and bearing the word “consultas” (consultations).